In 2011, an estimated 1.78 million Facebook users were expected to die worldwide, of which 480,000 called the U.S. home. While those figures are probably skewed somewhat due to the purging of duplicate Facebook pages and the classification of accounts as inactive if the owner didn't log in for 30 days, one thing is certain: Your online assets will be left in limbo if you don't specify how you want your digital legacy handled after you die. This article details several steps you should take now to help your survivors access and protect your online assets later. Who Owns Your Online Assets? According to a 2011 survey by software-security company McAfee, Americans assess the average value of their digital assets at $55,000. These assets can include personal photos and home videos, legally downloaded movies and music, and user-generated software files detailing everything from career information to genealogic records, among numerous other media-file types. Unfortunately, state and federal laws do not advance as quickly as the pace of technologic change. As of January 1, 2013, only five U.S. states have enacted laws concerning the legal right of survivors to access a deceased loved one's social media accounts, such as Facebook, Twitter, LinkedIn, Google + or Pinterest — not to mention a host of other account types, such as email, banking, shopping, cloud storage, entertainment, gaming, etc. In addition, the "fine print" that we typically ignore when creating a Facebook, Twitter, LinkedIn, Pinterest, Google +, and most other online accounts usually spells out who may legally access your online account. Generally, it is illegal for anyone but you, the account creator, to access your account — even with your express permission. While lawmakers on the state and federal levels currently rush to address the legislative void and various contradictions created by estate law and privacy law, one thing is certain: You should take steps now to help your survivors access and protect your online assets later. The first step you should take is to make a list of everything you access digitally or electronically. Obviously, this should include anything that has a real monetary value, such as digital music, book, and movie files that you purchased, as well as everything that holds significant emotional worth, such as your wedding video, family photos, important emails, etc. In addition, include the name and URL of every online account you access, and a brief description of the service it provides, as well as the information someone would need to login to your account. In many cases, the purpose of the site will be obvious, such as Citibank or Chase, Facebook or Flickr, but your mortgage company or cloud-storage provider might not be readily apparent to someone else. Remember, the purpose of compiling this list is so that someone whom you designate can serve as the executor of your online assets, so don't assume anything will be "obvious" to him or her. CAUTION: The list you have created contains highly confidential information. Take every precaution to keep it secure in order to prevent theft, whether monetary or identity and to prevent unauthorized access. Once you have compiled your digital-asset register from memory, update your list for at least one month (six months is better). The reason for this is that you will inevitably experience "Oh yeah!" moments as you access some of your less-obvious digital accounts or assets that you didn't initially include on your list. For example, did you remember to list the account information for your Xbox or Wii console? How about the online payment site for your dentist, doctor or other infrequently visited providers? Does your register include the accounts you access solely via iPhone, Nook, Kindle, Surface, iPad, etc.? Another reason you should refine your list for at least a month is to ensure you add the answers to any security questions you created to verify your login identities. We routinely answer these security prompts when they pop up, but, again, your list needs to make it easy for your digital executor to access your accounts and digital assets. Once you believe your registration is complete, the next step is to determine what you want to be done with each of your online accounts and/or digital assets. For example, which online accounts can/should just be closed? Which accounts should be transferred to someone else for the purpose of settling your estate, such as financial accounts? Do you want to appoint a new "curator" of your online family photograph repository so new images can be added down the road? While the state and federal laws governing online accounts and digital assets are still developing, the more detail you provide concerning how you want things handled, the better. And you should definitely put your wishes in writing. Even though the laws governing online assets are still developing on both the state and federal levels, the more explicitly you express your desires/intentions in writing, the greater the chance your digital executor will be able to process your digital assets and online accounts as you wish. A good estate-plan attorney should be able to help you. 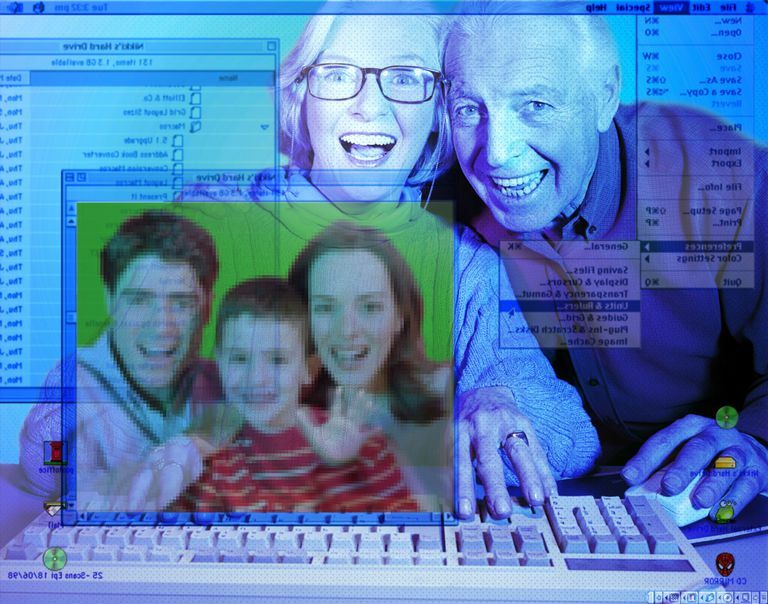 Next, assign someone you trust to serve as your "digital executor." Yes, this might be somebody different than the individual you legally appoint as the main executor of your will — and it probably should be. Your digital executor needs to be both trustworthy and tech-savvy so he or she understands not only how to access your digital assets but also why each is valuable and what to do with them. Finally, reference your "online account/digital asset list" in your will, but do not include the actual list. The reason for this is that keeping them separate allows you to regularly update online account/digital asset passwords (which you should be doing! ), and assign different beneficiaries, without needing to pay your attorney to legally authorize this updated information.